Fall is upon us and with that there will be rainy and snowy days ahead. What do you do with the kids on rainy days? 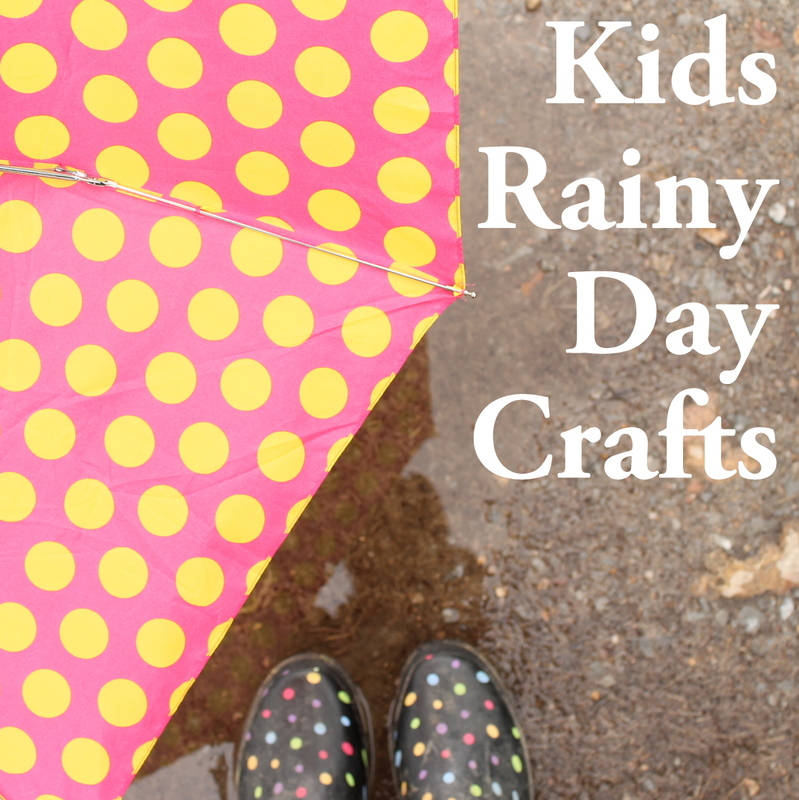 We have a collection of kids’ rainy day crafts for you that are sure to break the boredom. 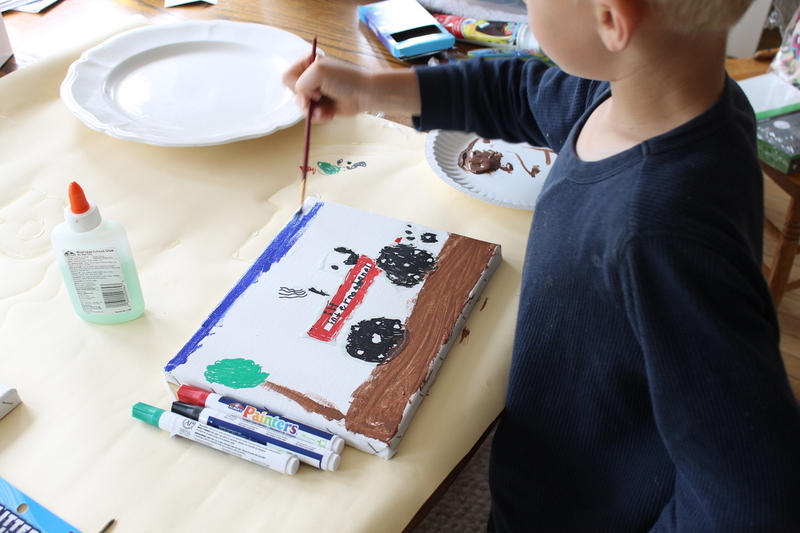 Kids love to release some creative energy and these activities are perfect. Most are low or no cost and can be done with items you have around your home. Bookmark these ideas for the next rainy day around your home and never hear “I’m bored” again. You can start with the tried and true rainy day craft of coloring. Sure you might have some coloring books lying around you home but you can also find various sources for printable coloring pages online. Hook up the printer to the computer and give your kids something new and different to color. 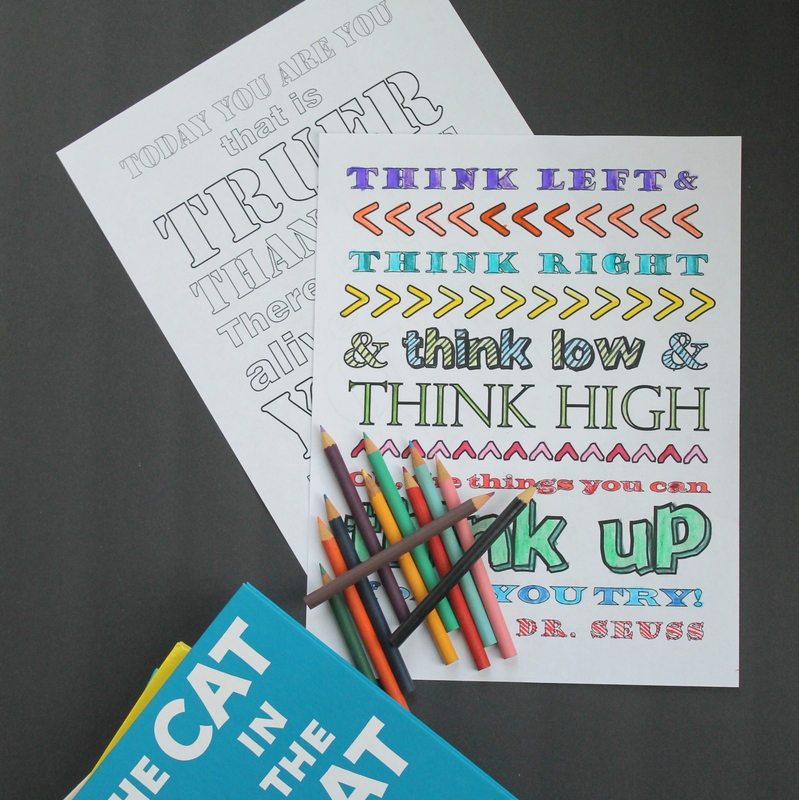 The Country Chic Cottage has great inspirational quotes on these Dr. Seuss coloring pages. You can also turn coloring into a craft. 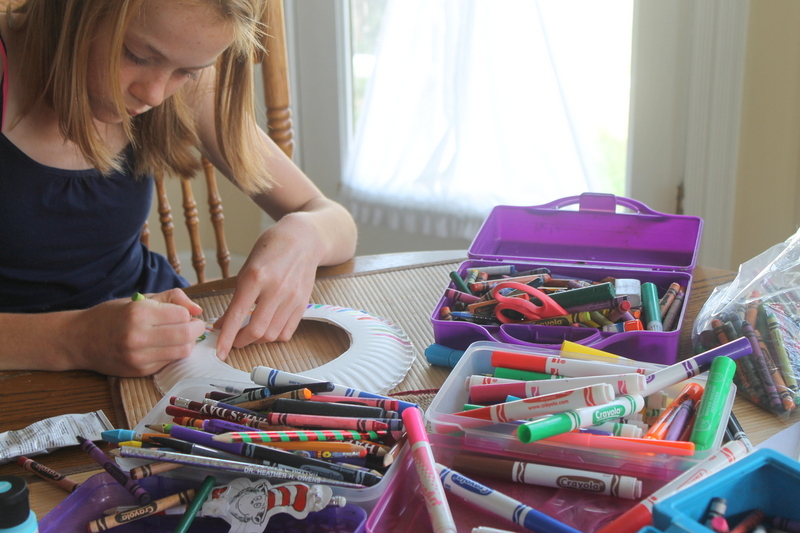 The kids can color on paper plates to make paper plate Frisbees. Paper plate crafts are something that our family always turns to as they are always readily available around our home. If you don’t like the Frisbee idea, try one of these 67 paper plate crafts with your kids. Maybe painting is more what your kids love? You can paint on any surface imaginable. Let your kids’ imagination run wild. One of my tricks for little kids is to keep paint pens on hand. Frustrated little hands can make an awesome picture with paint just by drawing. Keep some canvases on hand or even turn them loose on a terra cotta pot. Anything that they can draw on easily is fair game when you have paint pens. No paint but your child really wants to make art? Try string art instead. 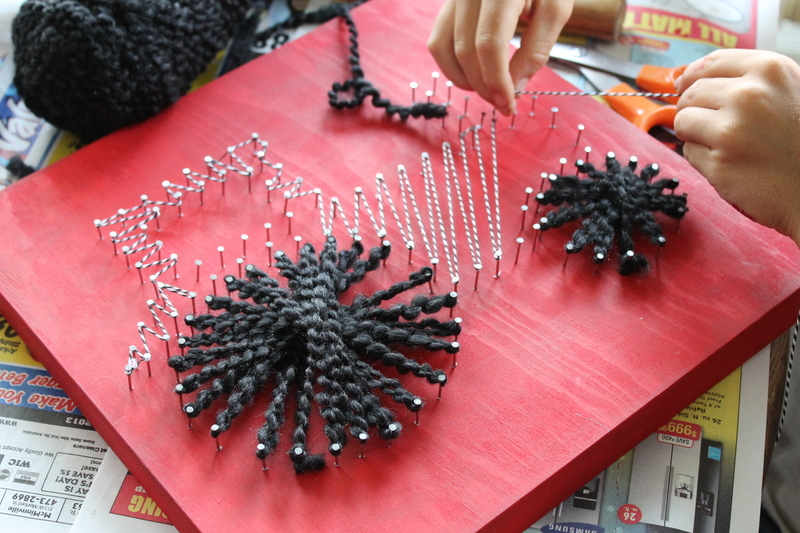 A board, some nails, and string are all it takes to create something cool to hang in their rooms. You can try this fun tutorial for an image or turn your kids loose to free hand. This type of art is best for older kids especially if you are going to allow them to use the hammer. The results can look amazing however and they will be proud to have completed this project themselves. 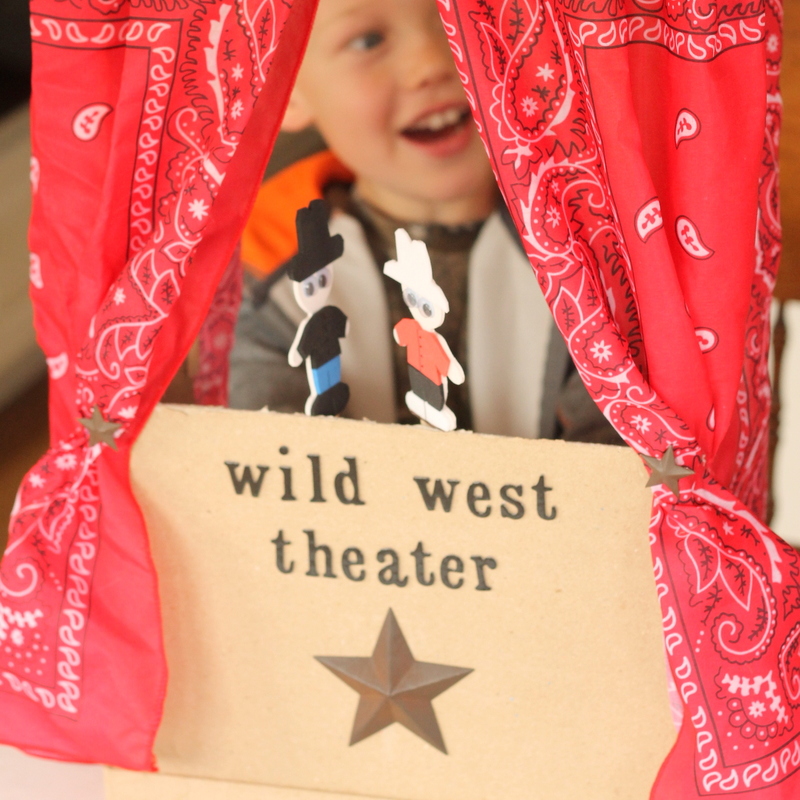 Allow their creativity to run wild by making a puppet theater. You can make a simple theater and puppets then they can spend the rest of the rainy day acting out a play. A box theater and sock puppets will definitely work in a pinch. Or keep the supplies on hand for a fancier puppet theater like this one. Either way the kids will be able to keep this one and pull it out for entertainment on the next rainy day. Add different puppets occasionally to keep the acting unique and the creativity flowing. If all else fails, keep the kids entertained on a rainy day by playing dress up. 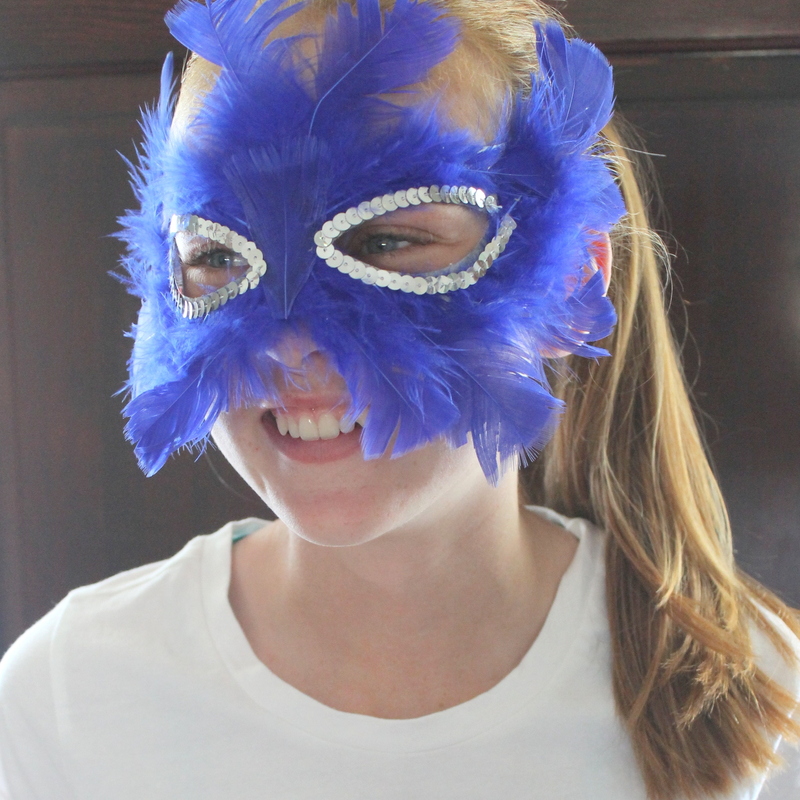 You can make various masks and clothes for dress up or go raid your closet. I always keep all of our old Halloween costumes as well. They make a great dress up chest for those rainy days. Dress up makes a perfect rainy day activity as young and old alike love to get into the game. Turn your adventure in dress up into a play in your own family room. Your kids can pick a character, costume, and then give you a bit of entertainment. Grab a few of the ideas above to get creative on a rainy day and keep the kids away from the television and computer. These fun kids’ rainy day crafts will keep the occupied and flexing those creative muscles.